Join the Southern Food & Beverage Museum and Bryant Wheat of Mrs. Wheat's Meat Pies for a demonstration and tasting! The Mrs. Wheat's story began with Mrs. Helen Wheat of Natchitoches, LA. She was celebrated for her meat pies, and her recipes can still be found in cook books at Natchitoches gift shops. In 1979, Wheaty’s Restaurant opened in Metairie, LA. 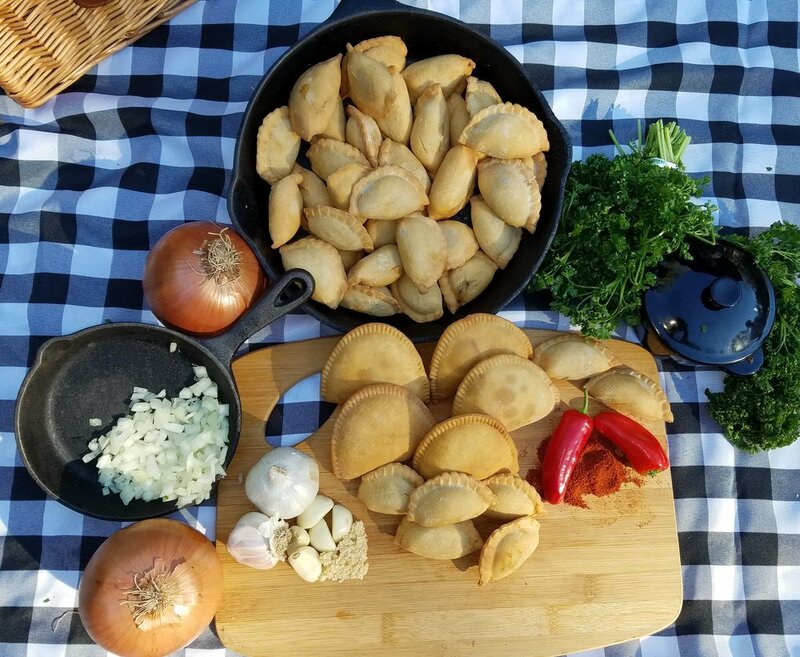 Mrs. Wheat’s introduced the famous “Natchitoches Meat Pies” & “Crawfish Pies” at local events such as the New Orleans Jazz & Heritage Festival, the 1984 World’s Fair, and the French Quarter Festival. The demand for meat pies soon exceeded the restaurant’s capability. In 1985, Jim Wheat opened the doors to his new USDA and FDA approved manufacturing facility in the City of New Orleans. After 20 years of building a quality Louisiana brand it was time to expand. In 2005 Mrs. Wheat’s purchased a 35,000 square foot manufacturing facility, but soon afterwards, Hurricane Katrina flooded the building and destroyed operations. Production moved to Atlanta for a few years, and out of devastation they built a state-of-the-art facility that exceeds all USDA & FDA regulations. Owner Jim Wheat is transitioning for the future, with son Bryant ”Mr. Meat Pie” and daughter April taking over the day to day operations. Team Wheat is working diligently to establish Mrs. Wheat’s Foods as a national food manufacturing company. The program begins at 1:00 PM in the Rouses Culinary Innovation Center by Jenn-Air, samples are first come, first served. Free with museum admission.